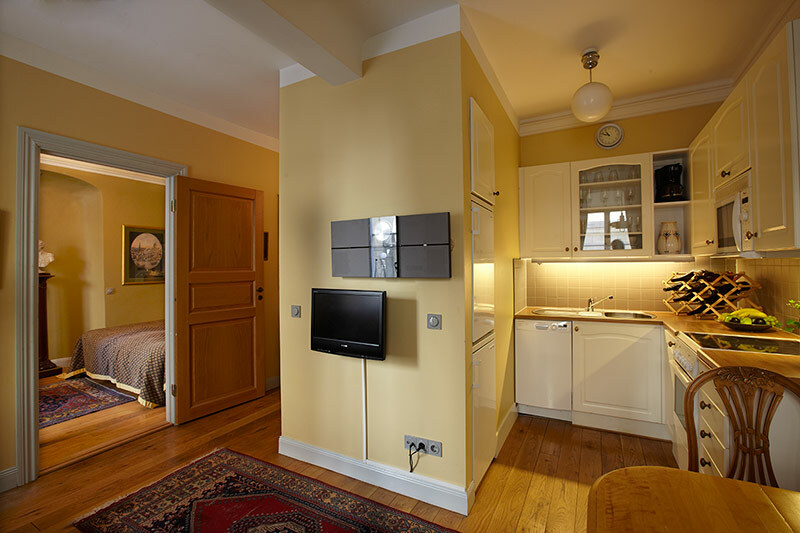 This charming studio of 35 square metres consists of one bedroom and a kitchen with a seating area. 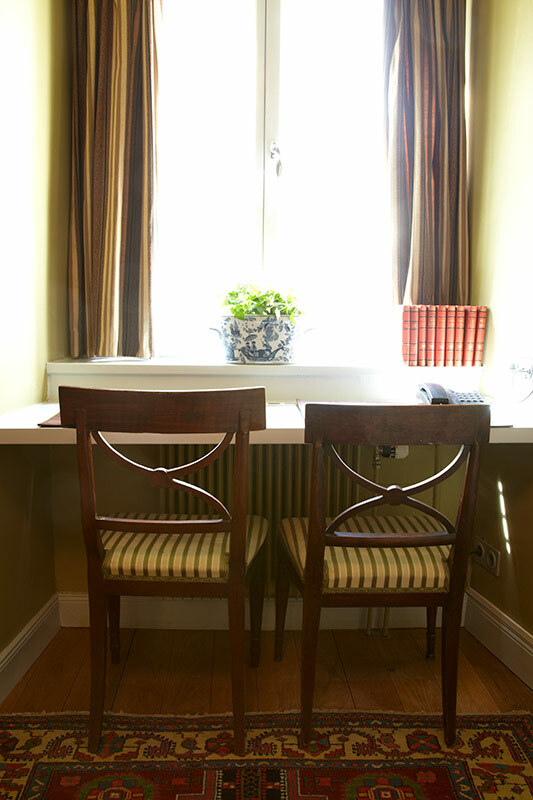 The bedroom is spacious enough to fit a double bed and a work desk for two people. 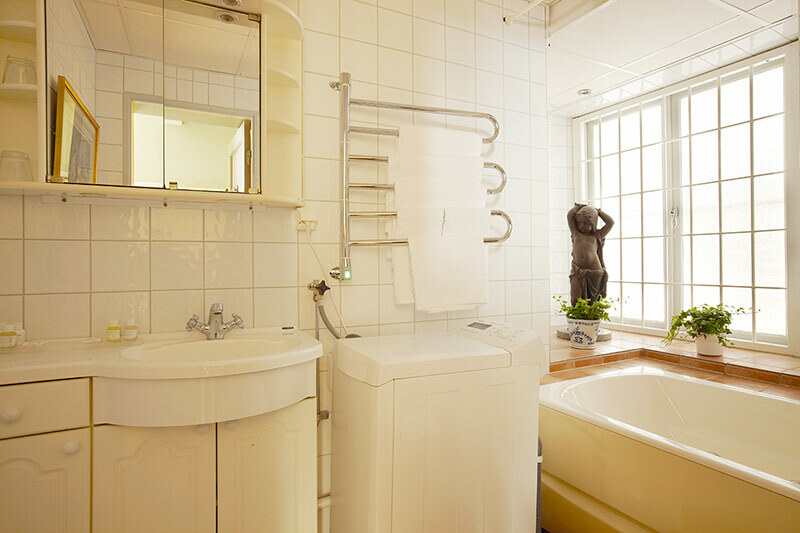 The bathroom is bright and equipped with a bath tub.The apartment is ideally situated in the middle of the Old Town close to nice restaurants and shopping. 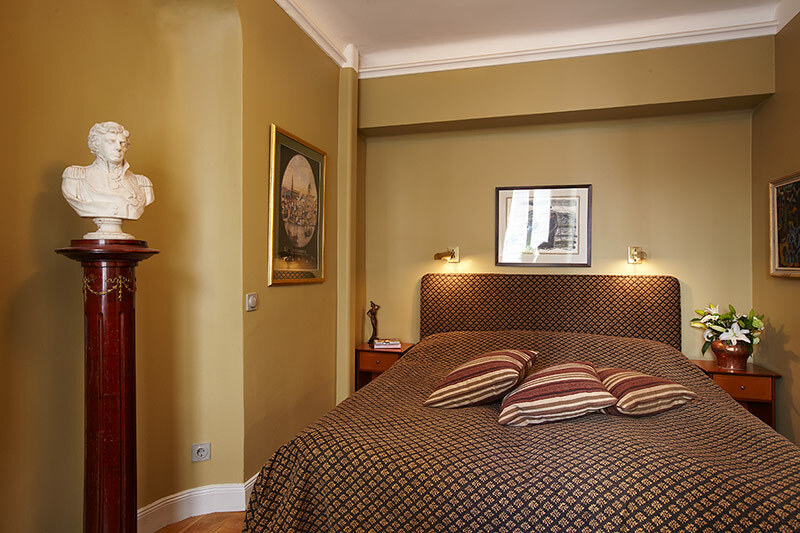 The Admiral's Penthouse is a spacious apartment on two floors at the Victory Hotel. The roomy apartment measures no less than 156 square metres and is ideal for a large family or friends travelling together. This apartment offers a unique accommodation in a perfect location right in the Old Town close to all sights of the city. 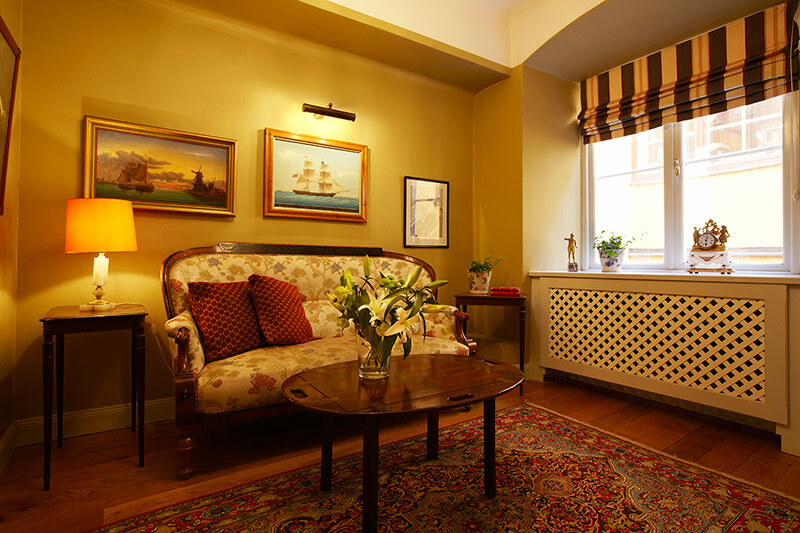 The Commodore's Apartment is a one bedroom apartment large enough to accommodate two people comfortably. 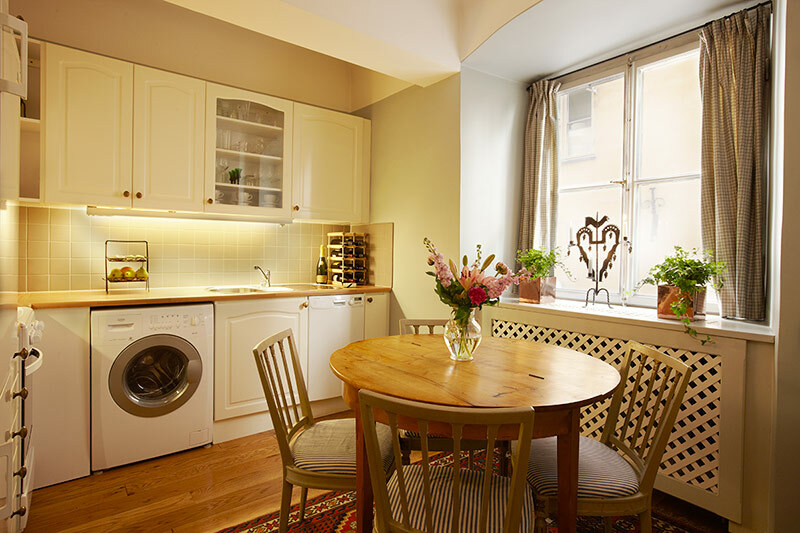 It has a separate entrance on Yxsmedsgränd, only 10 yards from the main entrance to the Victory Hotel in Old Town.The apartment is ideally situated in the middle of the Old Town close to nice restaurants and shopping. This lovely 35 square metre apartment has space for one bedroom, a bathroom and a kitchen – ideal for one or two people. It has a separate entrance on Yxsmedsgränd, only 10 yards from the main entrance to the Victory Hotel.The apartment is ideally situated in the middle of the Old Town close to nice restaurants and shopping. 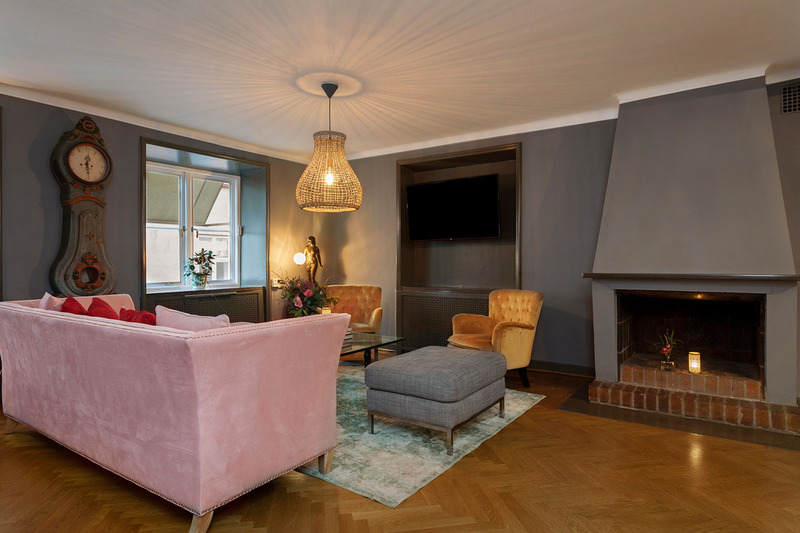 The Lieutenant's Studio is a cosy apartment perfect for one or two people with a separate entrance on Yxsmedsgränd, only 10 yards from the main entrance to the Victory Hotel. The apartment is ideally situated in the middle of the Old Town close to nice restaurants and shopping.